Like Faraday's award-winning original, the Cortland packs plenty of power into an elegant package. 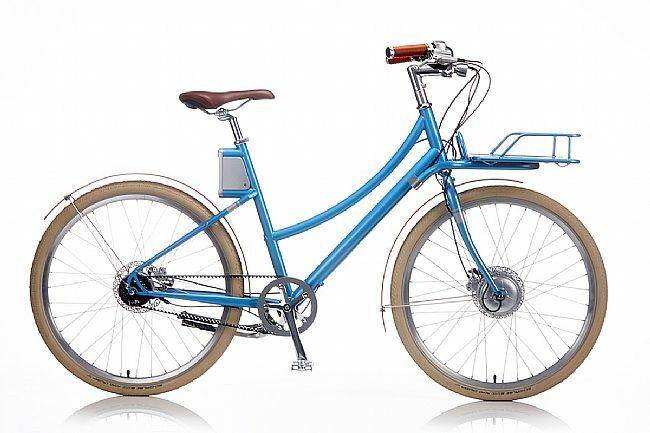 With steam-bent bamboo fenders, leather grips, hydraulic disc brakes, a Gates belt drive, and Shimano Alfine 8 internally geared hub – it’s a dream for any rider. Drive Unit: Bafang 43V 250 Watts. Chain Ring: Gates CDX CenterTrack Sprocket, 50T. Tires: Continental Contact, 26″ x 1.75″. Manufacturer Warranty: Frame – Lifetime, Battery – 2 years or 500 complete cycles, Electronics and Parts: 2 years.